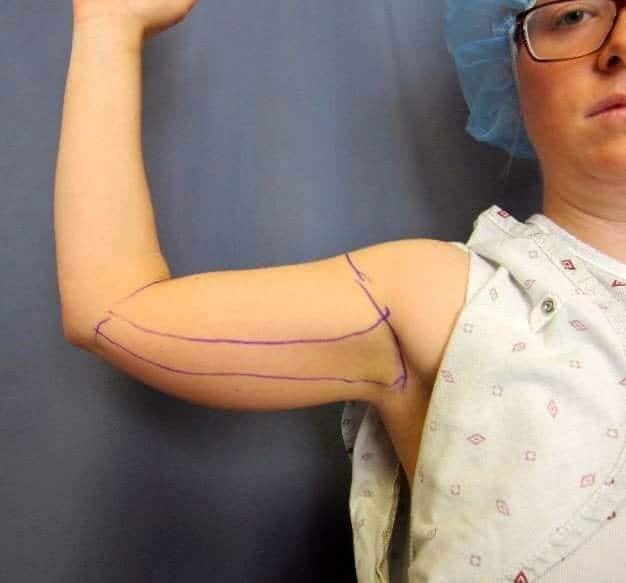 Brachioplsty- Arm lift is known as brachioplasty, an arm lift reshapes the under portion of the upper arm, from the underarm region to the elbow. 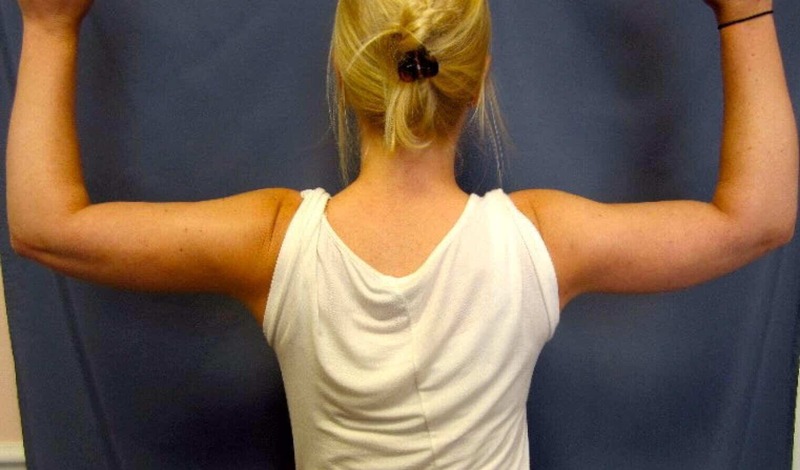 The average cost of an arm lift is $3,936, according to 2014 statistics from the American Society of Plastic Surgeons. Arm lift surgery costs can vary widely. The average fee referenced above does not include anesthesia, operating room facilities or other related expenses. A surgeon’s arm lift price will be based on his or her experience, the type of procedure used, and the geographic office location. Most health insurance does not cover arm lift surgery or its complications, but many plastic surgeons offer patient financing plans, so be sure to ask. Arm Rejuvenation with minimal surgery and risk- You may be a candidate for Vaser Lipo of arms. This requires small incisions with significantly less surgery. Allow Dr. Diamantis evaluate you to develop an ideal treatment plan to rejuvenate your arms. ''My mom saw my arms and immediately scheduled her own consultation. " Lidia lives an exciting life full of curiosity and adventure. She keeps up on the latest fitness plans and beauty procedures with her family and closest girlfriends. Her appearance is important to her, so she decided to talk to Dr. Diamantis about Vaser® Lipo of the arms. 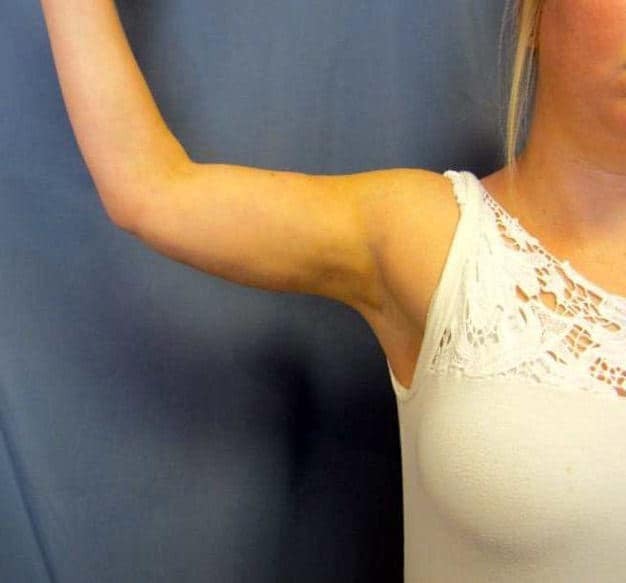 After treatment, Lydia was ecstatic with her newly defined arms – and wondered why she didn't do this sooner! 1. VASER® LIPO OF THE ARMS- to permanently remove resistant fat cells from the arms and to tighten loose skin. The objective is to shrink larger arms that are diet and exercise resistant. a. Planned liposculpture - of the right and left upper arms with special attention to the triceps region. b. Redrape and tighten loose skin- Vaser® Lipo uses ultrasound to disrupt fat cells and tighten skin by increasing the elasticity of the dermis. "I've always hated the size and shape of my arms. I've tried every workouts, only to be disappointed. I resigned to the fact, I can't wear cute sleeveless summer dresses anymore." 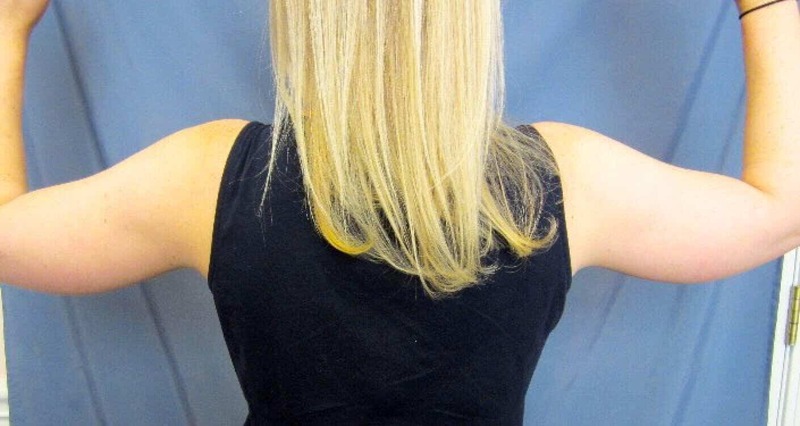 Fortunately, a friend heard about an innovative office technique which permanently reduces the size of the arms and helps tighten the loose hanging skin found in the back of the arms. Lidia is 6 weeks status post Vaser Lipo® of the arms. She's already ecstatic with the skin tightening and arm definition. The results will only get better over the next several months.